Cue the Elvis. 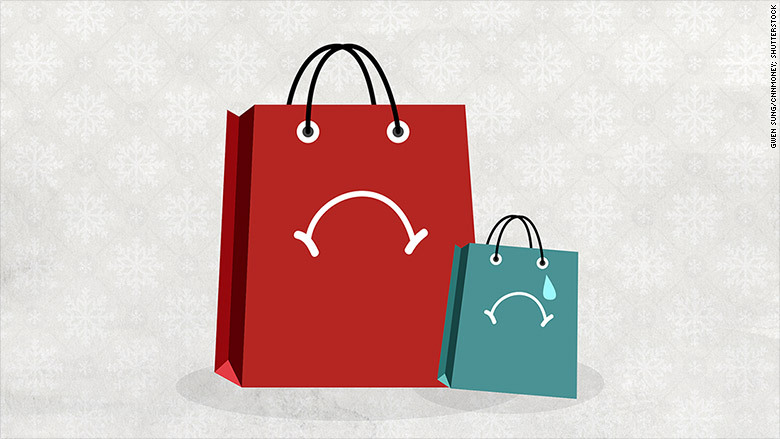 It may be a blue Christmas for America's retailers. Gap (GPS), Macy's (M), Nordstrom (JWN) and Fossil (FOSL) all reported lousy results this week. JC Penney (JCP) actually bucked the trend with decent sales growth, but it's still losing money. The only major retailer to have unabashedly good news was Kohl's (KSS), which topped analysts' forecasts thanks to strong back-to-school shopping. But Kohl's stock plunged Friday along with other retailers after the Census Bureau reported that overall October retail sales rose just 0.1% from September, below economists' expectations. So will Black Friday wind up being more like Bleak Friday? We'll get a better sense of that this coming week when three of the nation's biggest beneficiaries of the holiday shopping season report their latest results: Walmart, Target and Best Buy. Walmart (WMT) has already warned that sales will be weak this year. Analysts are forecasting a drop in revenue for the quarter that ended in October and flat sales during the holiday quarter. Target (TGT)recently announced more store closures. Wall Street is also expecting sales to fall in the latest quarter and only increase by 2% during November, December and January. And Best Buy (BBY) remains in the midst of a turnaround. Its stock has taken a hit lately -- possibly due to lingering concerns about a slowdown in demand for Apple's (AAPL) new iPhone 6s. Dillard's (DDS), TJX (TJX), Williams-Sonoma (WSM), L Brands (LB), Ross Stores (ROST) and Abercrombie & Fitch (ANF) all report earnings next week too. Home Depot (HD) and Lowe's (LOW) report as well. But their results will potentially say more about the housing market than holiday sales. Still, what could bring some cheer is if any of these companies give a brighter outlook for the fourth quarter. But what do the sluggish sales and outlooks so far say about the broader economy and health of the consumer? Analysts have mixed opinions on that. 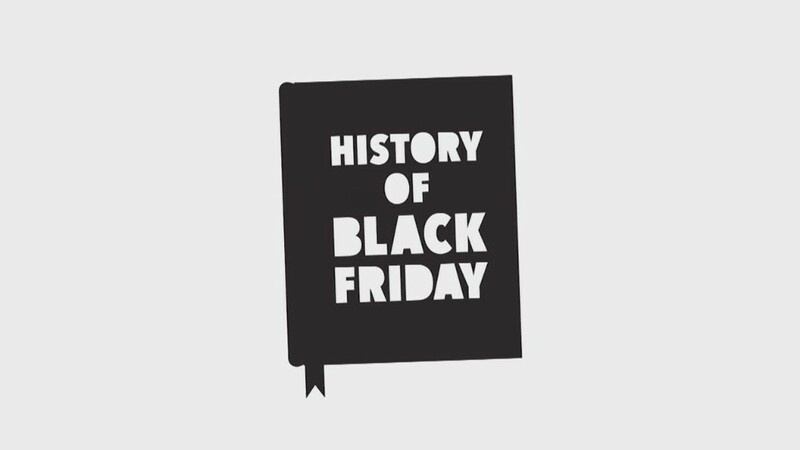 According to a survey done by retail research firm Conlumino, 45% of shoppers said they planned to spend less on Black Friday this year than last year. Another 24% said they would spend about the same amount while only 18% said they would spend more. The remaining 13% sat out Black Friday last year and said they would do so again this year. Those figures are obviously pretty gloomy. Russell Price, senior economist at Ameriprise Financial, adds that consumers could spend more if they wanted. But they appear to be choosing to hold back due to some lingering fears about the economy. "The data overwhelmingly portrays consumer financial positions as improving and in pretty good shape overall," he wrote in a report. "The question is around their willingness to spend it." Price added that "high student loan burdens for younger Americans could be holding them back" and that "Millennials appear to be less materialistic than prior generations -- at least for now." But analysts at Wall Street research firm Evercore ISI said people should not make broad assumptions about the consumer based on a handful of earnings reports. The Evercore analysts noted that there were "some interesting patterns" in the latest batch of earnings "but no clear thematic factors to blame." For example, apparel sales have been weak. But not athletic apparel. Nike (NKE) and Under Armour (UA) are red hot. With that in mind, the Evercore analysts said this week's poor retail results are more due to "the tectonic shifts across the retail landscape related purely to the derivative impacts of the digital revolution." Translation: Amazon (AMZN) is eating everybody's lunch. And breakfast, brunch, dinner and dessert too. Amazon is trading near an all-time high. The company's market value is now $305 billion. That's higher than Walmart, Target, Best Buy, TJX, Macy's and JCPenney combined. Yes, the strong dollar has been a problem for Macy's and other companies that rely on tourists for a chunk of their sales. And warmer than usual weather in October may have been a problem for many retailers as well. "We are seeing an overall decline in store traffic, especially in big urban centers," said Steve Barr, U.S. retail and consumer leader at PwC. But as is always the case with this industry, there are winners and losers. And many of the winners don't have physical stores. "Do we have a retail problem or a retailer problem?" Barr said. "There is a continued, rapid shift to online. Leading online retailers could report gains of 30% to 40% from last year."